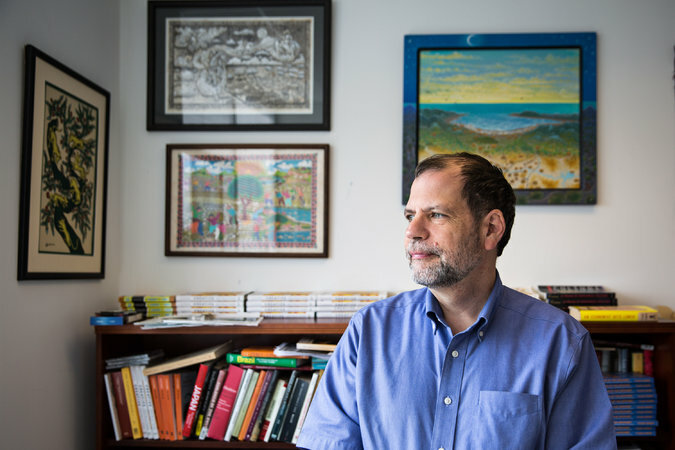 [Tyler] Cowen had published a new book, In Praise of Commercial Culture, which elaborated on old shibboleths from Ludwig von Mises. The good people at Harvard University Press, publisher of Tyler’s 1998 book, must be distraught to learn from MacLean that Tyler’s book merely “elaborated on old shibboleths” from a long-dead Austrian economist. Fortunately, the Harvard University Press crowd can breathe easily, for MacLean’s description of Tyler’s book is wholly inaccurate: Nowhere in his book does Tyler mention Mises. mention Mises. Perhaps Tyler absorbed Mises so deeply that he, Tyler, simply channeled Mises unawares. Or perhaps Tyler simply forgot to mention the scholar on this point who MacLean asserts (with no real evidence, by the way) is the source of the views on commerce and art that Tyler develops in his 1998 book. Or maybe Tyler intentionally failed to mention Mises, perhaps hoping to steal the glory that comes with being thought to be an original thinker! In the same footnote from which the above quotation is drawn, MacLean references Mises’s 1956 monograph, The Anti-capitalistic Mentality, but she offers neither explanation nor even page references. In this short Mises tract there is a chapter (#3) titled “Literature Under Capitalism.” This chapter and a section (“Materialism”) in chapter 4 are the only parts of this book that I can find that touch on the topic of Tyler’s 1998 book. Here, Mises does say some things that overlap with the broad theme of Tyler’s book – namely, contrary to the claims and worries of critics such as John Ruskin, in commercial societies fine and high art continues to flourish even though a great deal of contemptible and even trashy ‘art’ is also produced. But Mises doesn’t develop the thesis in any depth. All of 19 short pages are devoted to this topic. Capitalism could render the masses so prosperous that they buy books and magazines. But it could not imbue them with the discernment of Maecenas or Con Grande della Scala. It is not the fault of capitalism that the common man does not appreciate uncommon books. Orson Welles argued for the supremacy of consumer opinion in judging aesthetic value. He once said: “We must not forget the audience. The audience votes by buying tickets. An audience is more intelligent than the individuals who create their entertainment. I can think of nothing that an audience won’t understand. The only problem is to interest them. Once they are interested, they understand anything in the world. The sources of inspiration that Tyler mentions in his 1998 book [on pages 12-13] include Samuel Johnson, Charles Perrault, Baldassare Castiglione, Condorcet, and, more recently, Camille Paglia, Herbert Gans, and the economist William Grampp. I do not think that a mention of Mises would have been out of place here, but nor was any such mention called for. Again, Mises’s discussion of these matters isn’t all that deep (which is not to say that it is mistaken) and Mises’s ideas about what is and isn’t good art were indeed very different from those of Tyler. There is, in short, no reason to believe that Tyler was elaborating on a theme set by Mises and every reason to understand that Tyler’s exploration of the connections between commerce and art go vastly further than any such exploration that might be prompted even by the most generous reading of Mises’s words on this topic. One thing is clear to a reader of Tyler’s 1998 book: it is a remarkably innovative, and deeply informed, application of the economic way of thinking to a wide variety of questions about the connections between commerce and art. Most assuredly it is much, much more than a mere ‘elaboration’ on Mises’s, or anyone else’s, comments on this topic. Tyler’s 1998 book is, in my opinion, his best. For Nancy MacLean to ridicule it as she does borders on libelous. By placing conservative culture at the top of their political agenda, the neo-conservatives risk losing their skepticism about big government. Someone who thinks commercial products are not artistic has never made one.